Being short (5'2") I learned early on that shopping for pants was a pain. 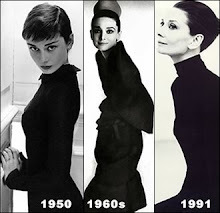 Even if they fit perfectly everywhere else - they were always too long. I've never known what it's like to be able to buy and pair of pants and then just wear them, right away. I always have to get them hemmed! When I was younger my dad performed this chore for me. It was always the battle of waiting until he got around to it and then it was the battle over the length itself. He always wanted to make them too short! Wearing 'flood pants' in middle school is not cool! Then I got wise and started taking matters into my own hands; I got over the fear of threading the sewing machine wrong and learned to use the thing. While sewing a straight line is harder than it might seem, and denim is really hard to double fold and sew through, I made out okay. Now, however I no longer have immediate access to my father's sewing machine and I don't have a machine of my own (hint hint to hubby/mum/dad - i know you read this). What's a short girl to do? 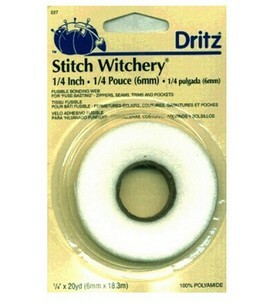 Well my friends, this is where I introduce you to Stitch Witchery (hem tape). It's basically a fusible bond tape that you activate with an iron. No Sew. Quick. Simple. Done. I've used it with cotton, jeans, wool, and polyester blends. I don't think I would recommend it for very silky or sheer fabrics though, you might see the stiffness of the bond through the fabric. And now, a photo tutorial: Hemming Pants. Wash and dry your pants to so any shrinkage is complete. Put on the pants with the shoes you plan to wear most often. these are pants for work, so I picked the flats that I wear pretty much every day. Fold the pants under to where you'd like the hem to be. Stand up straight and look in a full length mirror to double check your placement. Pin the hem in place - you only need to do one leg. I like to leave mine a titch long so I can wear a small heel and they will still look ok. I don't have a picture for this step - it's not that kind of blog - also, remember to be careful of the pins! Turn pants inside-out. Arrange pins so that you can iron along the folded edge without melting them and iron away to get a nice crisp edge. Now, lay the pants flat on the ironing board with the pinned/ironed leg on top of the other. Line them up evenly by matching the seams of the waistband. make sure they are laying smooth and flat & turn under the hem of the undone leg so that it's even with the one you've already pinned and ironed. Press the hem of the 2nd leg into place. Try to remove all of the original hem so that you are only left with one layer of fabric, otherwise it may look bulky and weird. Note: each pant leg is done with 2 pieces of stitch witchery - it's easier to do 2 pieces then try and wrap it all the way around the pant leg, I've tried. Set your iron to the wool setting with steam (as per directions on package). Dampen a pressing cloth (I just use a dish towel) and place it over the area to be pressed. Press down firmly with iron & hold for 10 seconds. Do not glide iron back and forth. Then flip and press the other side for 10 seconds. Perfectly hemmed pants that are machine washable and didn't require sewing! I put pants with Stitch Witchery in the washer and dryer repeatedly. Eventually the bond may loosen, but it's easy to cut another piece and iron it in if and when that does happen. hot tip: I keep my stitch witchery in a zip lock baggy with instructions - instructions are important. I wore these pants to work today and I'm happy to say the legs came out perfectly even in length, whew! It's no good when one pant leg is obviously longer than the other. You are just a little fountain of information! I think you might have to whip out the needle and thread for those buttons, lol. Count your blessings, at least you can hem them to be the right length. At almost 5'9" I have the opposite problem, the pants are almost always too short and there is no easy fix for too short pants! yeah, you got the 'short' end of the deal, it is definitely easier to shorten pants - even though it is a pain. You've only just heard about this? This tape got me through university! !